JenniferSoft, Inc, a Korean leading provider of application performance management software, announced that the Company attended the NEC Solution Fair in Shanghai in July 3, 2009. Over 1500 industry professionals, experts and NEC existing customers participated in the exhibition in the Fair, with about half of attendees representing China government and international companies. JenniferSoft’s one of global partners, NEC set up separate booth at the exhibition to introduce the Company’s flagship product-JENNIFER and technologies, including its other enterprise solutions for the Chinese IT industry. 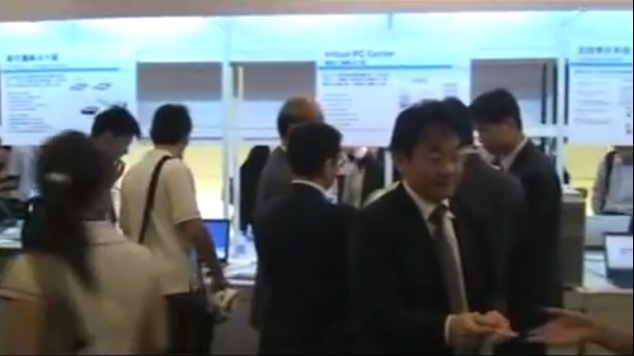 Mr. Yamamoto, manager of NEC new solution sales dept, conducted product demonstrations during the exhibition to illustrate the effectiveness of its product and technologies.